The Huawei Prism strongly resembles the Android smartphones of late 2009 and early 2010. 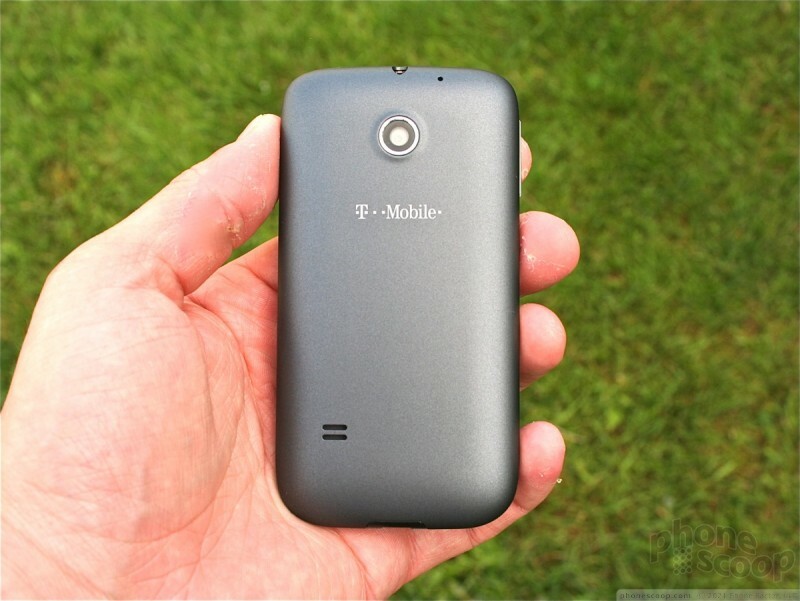 It's a bit chubby, it's a bit pedestrian looking, and its gray-on-black-on-gray color palette is among the more drab I've seen in recent memory (it's also available in red, according to T-Mobile's web site). For such an inexpensive phone ($20 on contract, $220 off contract), I wasn't expecting the Prism to raise the bar in the style department, but I was hoping it wouldn't put me to sleep. The Prism is compact and solid. 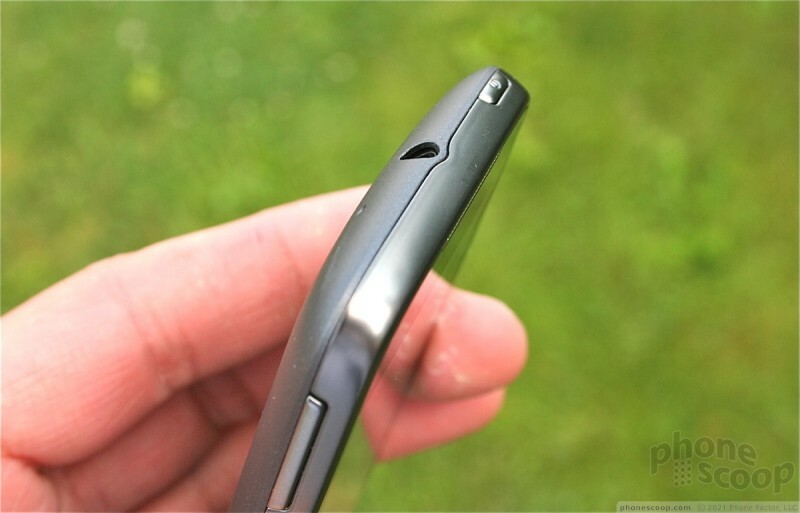 All of the seams fit together well, and the quality of the materials and manufacture belie the low cost of this phone. The smooth, rounded back is covered in a textured paint job that is pleasing against the palm of your hand. It's comfortable to hold and use, and easy to wrap your entire hand around and hold it firmly. It will easily fit into any pocket. The front fascia is maybe 75% screen and 25% everything else. There's plenty (read: too much) bezel above and below the screen for my tastes. The earpiece is a thin slit that runs along the top edge of the front. The colored indicator light is hidden in this strip of meshed metal and is easily visible from any angle. The standard Android 2.x control buttons are positioned directly below the display. These four buttons are capacitive and provide haptic feedback when pressed. I found they were easy enough to find without looking. The volume toggle is on the left edge of the Prism, very close to the top. It's about an inch long. Though the travel and feedback are good, I wish it had nubs or some other physical marking so that finding the up versus down sides of the toggle were easier. 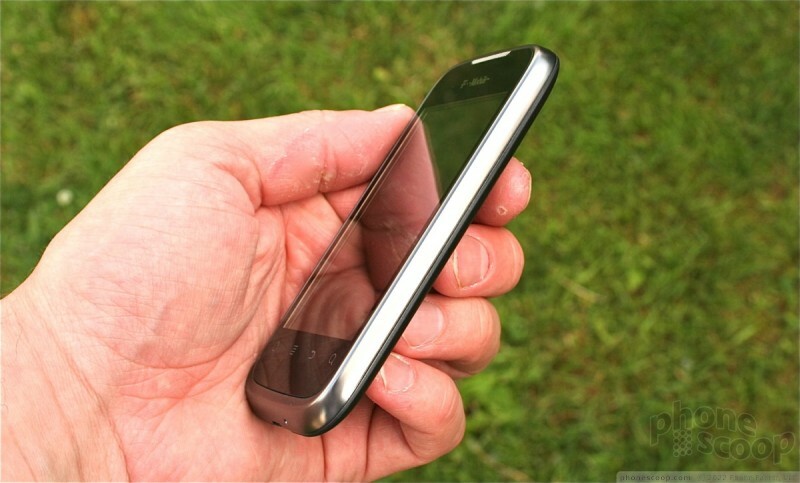 The microUSB port is on the bottom of the phone, and there are no controls or buttons on the right edge. The lock button is on top, as is the 3.5mm headset jack. The lock button is OK. I'd be happier with it if it were slightly larger, but the action was good and it's a cinch to locate with your finger. The battery cover is a shell that makes up the entire back surface of the Prism. There's no notch in the cover's edge for your thumbnail, which means it's a pain to remove. You really have to dig your nail into the seam to pry it off. 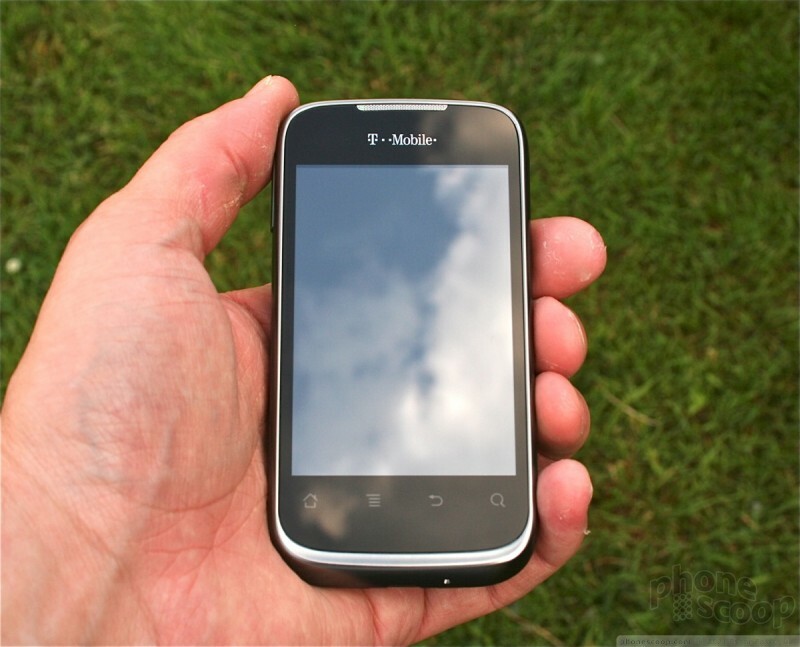 Once off, you have access to the battery, SIM card, and microSD card. All three can be removed.